This is the first installment of my new “Behind the Ride” series, focusing on the story of the ride itself, it’s history and background. DarKastle opened May 1, 2005. It was designed by Falcon’s Treehouse, LLC, manufactured by Oceaneering and the 4D media was developed by Super 78 studios. The ride use pneumatic airbags to pitch, yaw, heave and roll the cars to give the rider a 4D experience that matches the 3D screen images. You enter a room where a preshow begins, explaining the fictional tale of Mad King Ludwig’s rise to power and eventual bankruptcy. He then threw a party for his naysayers and they all mysteriously vanished. The ride takes you through the DarKastle in one of Ludwig’s golden sleighs, with the help of the ghostly image of Ludwig’s mother, who is trying to help you escape her son’s grasp. Be sure to look around at the sets when you ride. Everything was very well done to immerse you into the experience. In the library, with the fireplace, the books on the wall have been signed by employees of the park. On hot days, lines can get long with people looking to get inside from the heat. 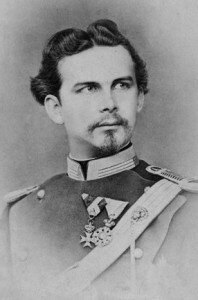 King Ludwig II of Bavaria was a very eccentric individual, squandering his family’s fortune on lavish and mysterious castles and art. Ludwig was a student of architecture and was a patron of Composer Robert Wagner. He was deemed insane by his ministers due to his overspending and excessive borrowing. Many in Bavaria still see him as a visionary due to his architectural advancements. 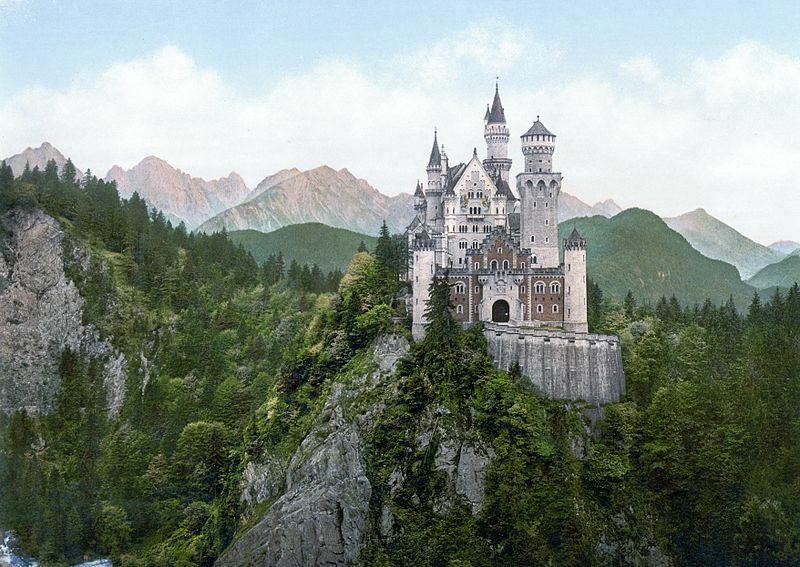 His most noted structure is Neuschwanstein Castle, which DarKastle is loosely based on. He reigned from 1882, at age 18, to 1886, upon his death. There are still many theories on Ludwig’s death. The newly formed German Empire saw the country was not financially sound and strongly asked Ludwig to stop his overspending. He continued to borrow money from family and plan big projects, and was soon 14 million marks in debt. He was deemed insane and was taken into custody and transferred to Berg Castle on Lake Starnberg. He was found in the lake, after taking a walk with one of his accusers, and it was ruled a suicide by drowning, though there was no water in his lungs and he was a strong swimmer. Neuschwanstein has been open to the public since seven weeks after Ludwig’s death, and is visited by 1.4 million people a year. I have ridden DarKastle many times, with my children and without. My youngest (7), is absolutely terrified of this ride, while my older two (11, 9) love it! I see it as a fun ride, with cool sets and an exciting journey through a haunted castle. I give this ride a 3 1/2 out of five. I’ve seen the video of this ride and I’m curious as to whether anyone knows who’s doing the voices of Ludwig and his mother?